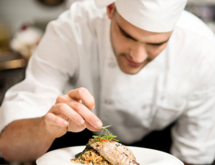 Culinary Academy of Long Island – the career school of choice. What makes us unique, and unlike other trade schools, is the dedication of our staff to provide performance-based occupational training. Students will be prepared for entry-level employment in professional baking or culinary programs. Students gain the knowledge and confidence they need so that they may quickly gain the skills necessary for employment and achieve the success they desire. Culinary Academy of Long Island graduates are employed in a wide variety of settings across the country. Financial aid programs offer a way to bridge the gap between what the student and family can provide and what it will cost to attend the school if you qualify. Culinary Academy of Long Island uses the Free Application for Federal Student Aid application (FAFSA) to determine eligibility for Federal Financial Aid Programs. You do not have to be from a low-income family to qualify for financial aid, but you do have to be a person with a “financial need.” Your need is the difference between what it cost to attend Culinary Academy of Long Island programs and what you and your family can contribute.